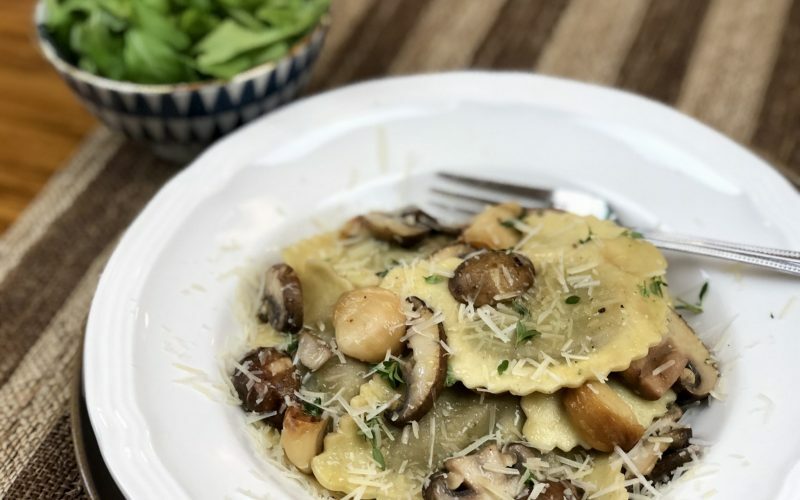 Whole roasted garlic cloves tossed with artisan fresh wild-mushroom ravioli, baby portabellos and fresh thyme. Dressed arugula greens with housemade Lemon Vinaigrette. Sign up to download recipe. Avocado oil, lemon juice, lemon zest, garlic, agave, kosher salt, black pepper.